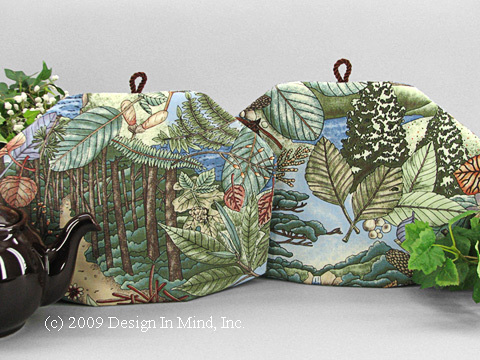 Tea and Coffee cozies for the Great Outdoors. 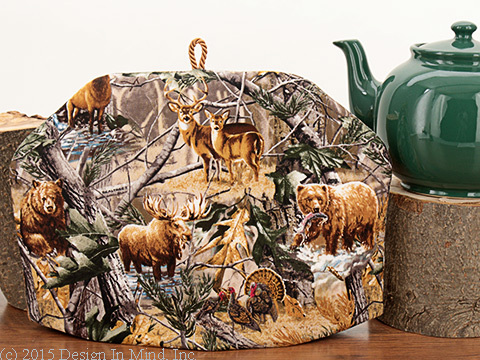 Tea cozies for the Great Outdoors. Perfectly at home at your lake cabin or mountain retreat! These cozies are made to order and will be shipped typically within 1 week after your order is received. See the "Quick Ship!" group for tea cosies available to ship now. 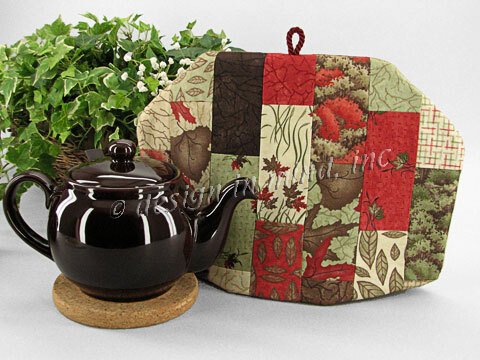 Deer, moose, bears, wolves, fish, pines and more cover this batik tea cozy in woodsy shades of green, blue and brown. 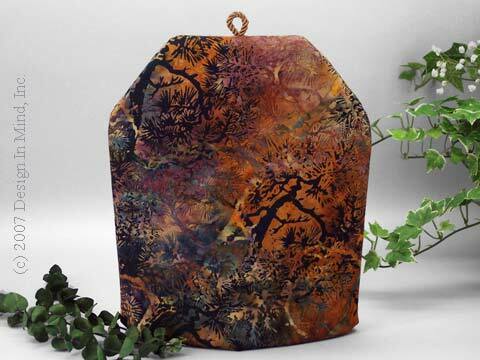 A golden and purple sunset, seen through a screen of cooler green pines boughs and other flora, gives this cotton batik tea cozy a warm glow. 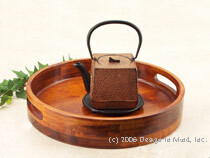 Shown with our Bee House teapot in brown. 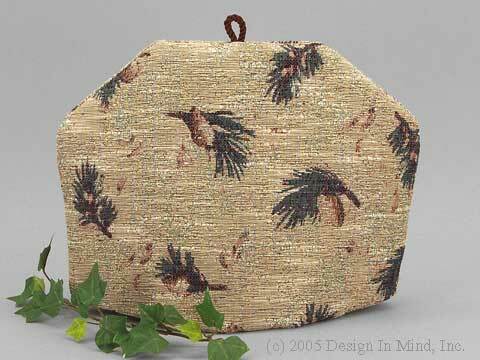 Deer, moose, bears and wild turkeys inhabit the forest on this tea cozy, perfect for your hunting lodge or cabin. Quilter's cotton. Pattern will vary. 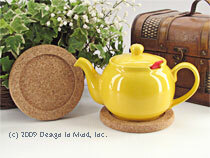 Shown with our Sadler teapot in hunter green. 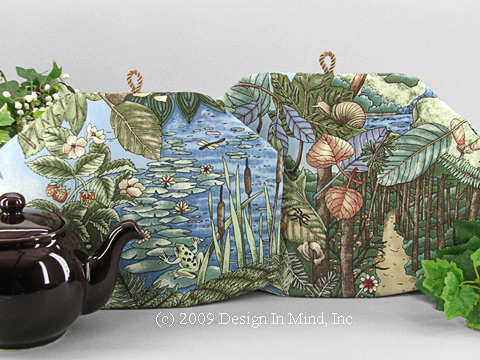 This tea cozy takes you for walk in the woods. Pine trees and pine cones accented with variegated green leaves. Quilters cotton fabric. 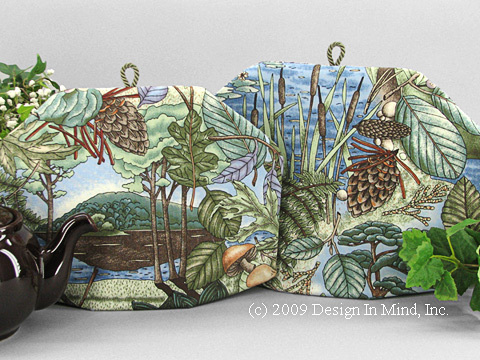 Enjoy the beauty of the Olympic Peninsula with this series of Tea Cozies celebrating the Ponds, Woods and Flora and Fauna of the national forest. Each side of the cozy shows a different scene. Quilters cotton. Wonderful shades of green, blue, brown and rust. A herd of deer stand alert in this beautiful autumn scene. 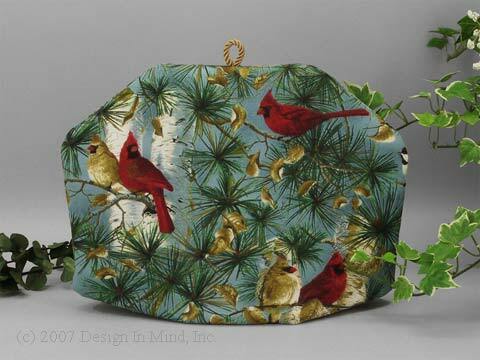 This tea cozy print is on a medium weight decorator cotton. The colors are varigated greens, tans, golds and cranberry with cream accents. A warm fuzzy tea cozy for a snowy day! This navy blue and cream berber fleece just begs you to cuddle up to a hot cuppa tea. 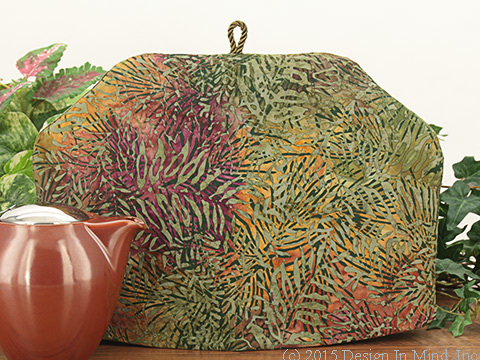 This cotton batik tea or coffee cozy is covered in warm brown, orange, and purple hues. 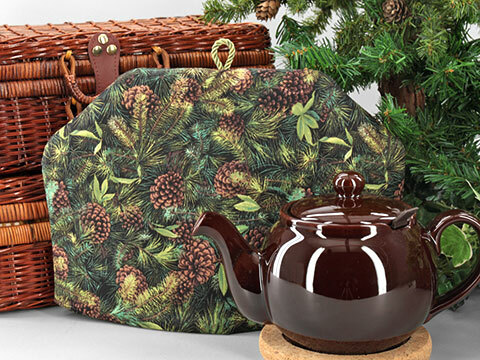 The batik pattern appears to form a deep woods scene. 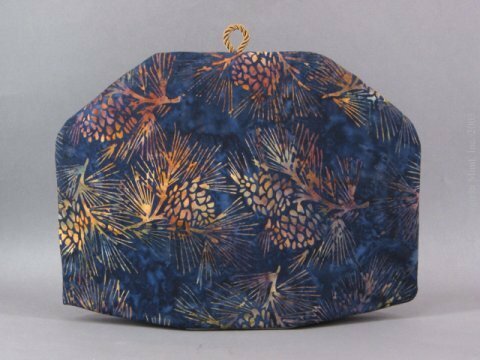 Black upholstery fabric covered with beautiful fall leaves. 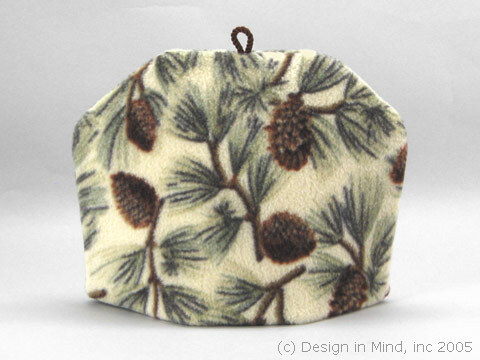 A beautiful brushed fleece is covered with pine branches and cones. 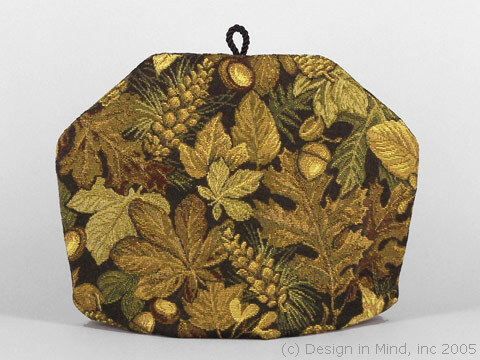 Tapestry in taupe, green, browns, pine branch and cone motif. 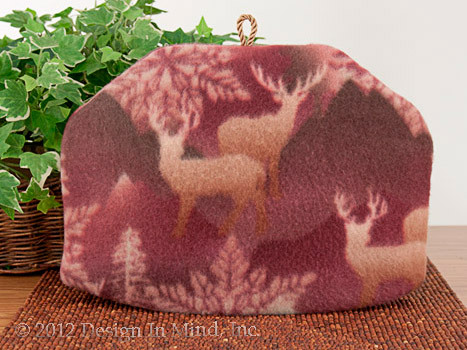 Gold and cream deer and snowflakes cover the rose, brown and burgundy background of this fleece tea cozy. 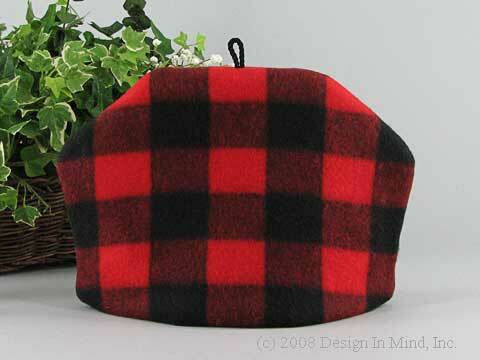 Paul Bunyan's classic shirt pattern in a fuzzy fleece! Indigo blue quilter's cotton batik with taupe, brown, and orange pine bough and cones. 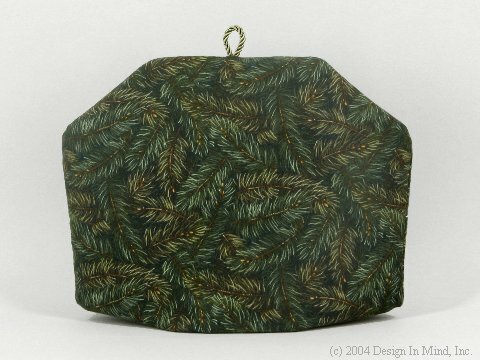 Flannel print, greens and a touch of gold pine tree print. 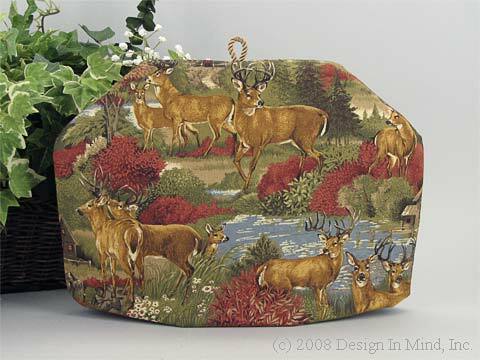 Woodland scenery fabrics pieced in the tradition of American quilting. 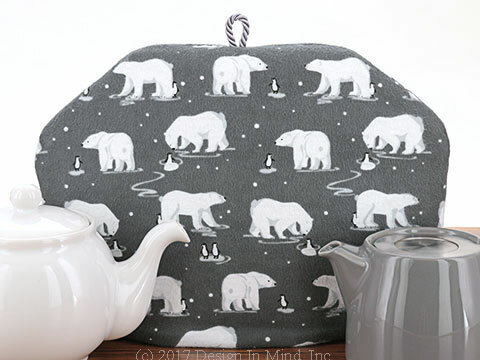 More than 40 individual coordinating pieces of quilters cotton are sewn together to create the covers of this unique tea cozy. Colors included are: brick red, shades of green, brown and tan. 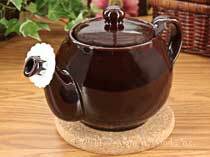 Shown with the Chatsford Brown Teapot, sold separately.